We are going to discuss vSAN architecture components in this post. Generally, vSAN is easy to work with using management tools like vSphere client, Ruby Console or Web client and it simplifies administrative tasks greatly. This where it is important from troubleshooting point of view to know how things work under the hood. vSAN operations are managed by these components behind the scenes. 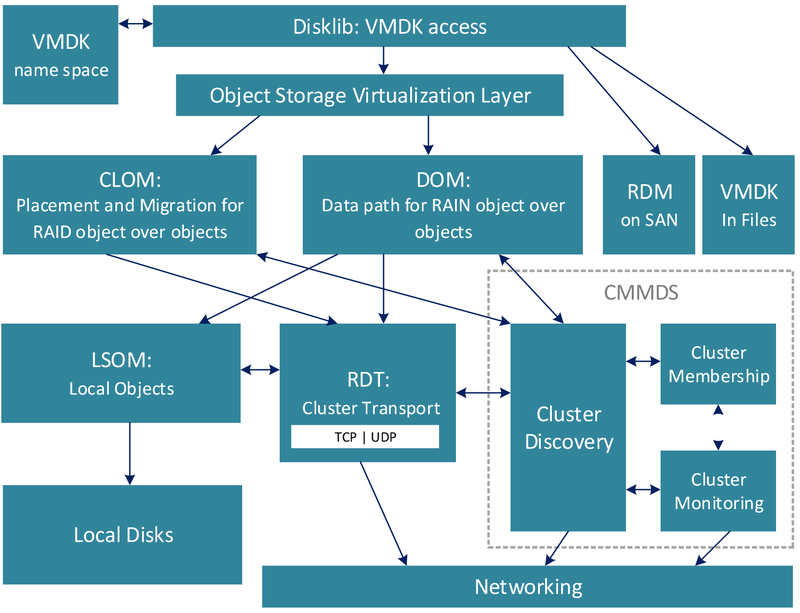 CMMDS provides the topology and object configuration information to the CLOM and DOM. CMMDS selects the owners of the objects. The CLOM process runs on each ESXi host in the vSAN cluster. CLOM process validates if the objects can be created based on policies assigned and resources available in the vSAN cluster. CLOM also defines the creation and migration of objects. CLOM distributes loads evenly across vSAN nodes. CLOM also manages proactive and reactive re-balance. CLOM is responsible for object compliance. DOM runs on each ESXi host in the cluster. DOM receives instructions from the CLOM and other DOMs running on other hosts in the cluster. DOM communicates with LSOM and instructs it to create local components of an object. Each object in a vSAN cluster has a DOM owner and a DOM client. There is one DOM owner that exists per object and it determines which processes are allowed to send I/O to the object. 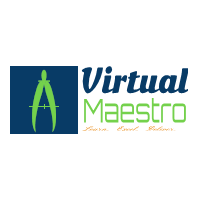 The DOM client performs the I/O to an object on behalf of a particular virtual machine and runs on every node that contains components. DOM services on ESXi hosts in vSAN cluster communicate with each other to co-ordinate the creation of components. DOM re-synchronize objects during a recovery. LSOM creates the local components as instructed by the DOM. LSOM performs the encryption process for the vSAN datastore when enabled. LSOM interacts directly with the solid-state and magnetic devices. LSOM performs solid-state drive log recovery when the vSAN node boots up. LSOM reports unhealthy storage and network devices. LSOM performs I/O retries on failing devices. LSOM provides read and write buffering. RDT is the network protocol for the transmission of vSAN traffic over vSAN network.